Unfortunately the shade gets dappled by Wattle trees - these take up a lot of moisture and goodness from the soil. So I try to remember to feed and water all the shrubs in this garden area, particularly in early spring. 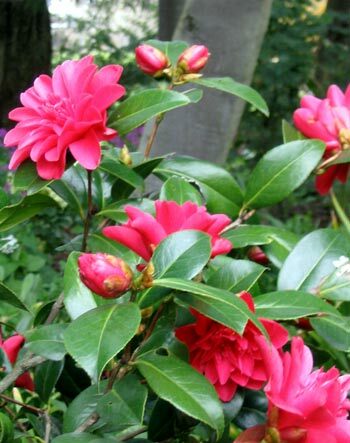 This red Camellia starts flowering in early September, which of course is the Moosey spring. The flowers are quite subtle - actually a duller red than this picture. 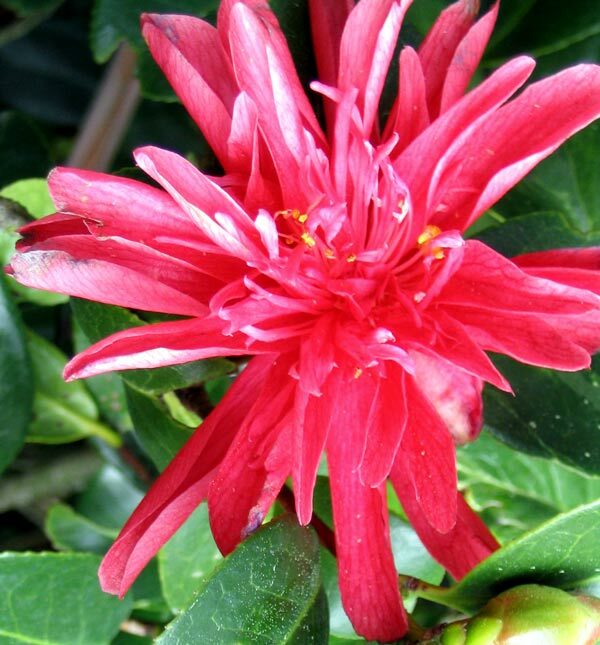 As you can see the petals are quite spiky - when the shrub is in full flower the effect is very beautiful. I have no way of knowing the name - many of my Camellias came from a neighbour's farm, where they were all in a desperate state. 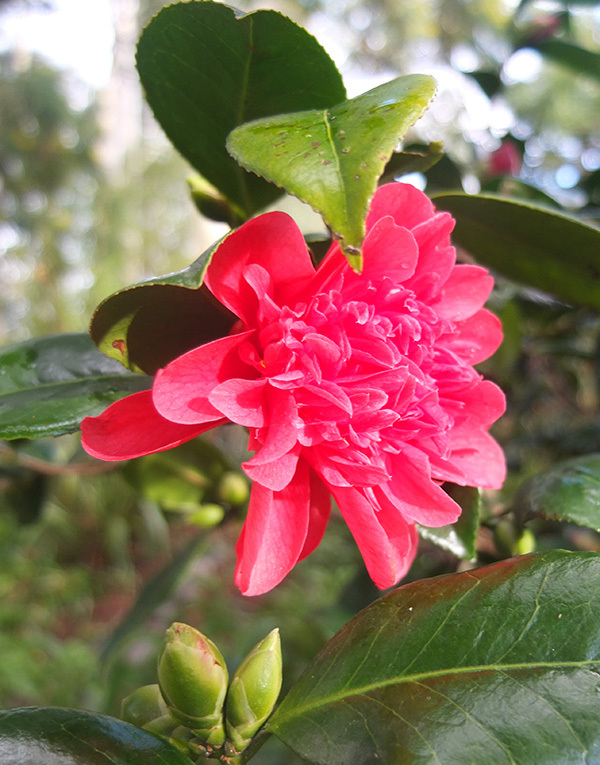 For the first years here the spiky red Camellia didn't flower at all. It's a pity that there are a couple of neighbouring pink Camellias flowering at the same time. Some gardeners would consider that the pink and red colours clash. Oh well, there's always the spade and wheelbarrow trick - maybe next autumn! Then again, why shouldn't pink and red grow happily together?